Posts tagged with "single-frequency ppp"
It has been a few weeks since my last update on the u-blox data processing. The lack of stability of the position estimates in the single-frequency PPP (SF-PPP) solution without precise external ionospheric constraints bothered me and I spent some time thinking about possible means of improving the solution. In this blog post, I present the preliminary results of my investigation and I invite everybody with insights to share them so that we can all solve this issue. It is only a matter of time before our smartphones can provide cm-level positioning accuracies. Thanks to the Centre National d’Études Spatiales (CNES, the French Space Agency) and its contractor CS, a giant step forward has been made towards the accomplishment of this goal with the release of two new Android apps on the Google Play store. 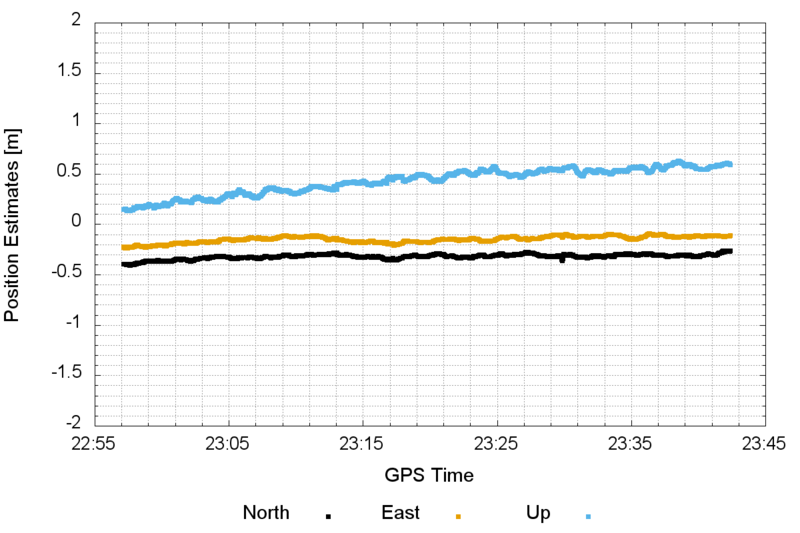 This blog post features an invited contributor from CNES, Denis Laurichesse, who presents initial positioning results obtained using these apps. As promised, I took my new u-blox NEO-M8T outside. 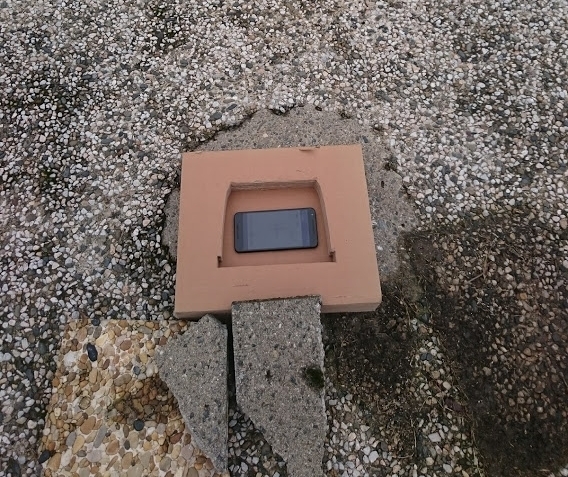 My first test simply consisted of evaluating the data quality of the carrier-phase and code measurements collected with a 20$ patch antenna. To achieve this, I have simply put the antenna on the roof of my car and parked on the street for 45 minutes. Results show that a cm-level precision is definitely achievable in a pseudo-kinematic mode using the PPP-RTK processing scheme. 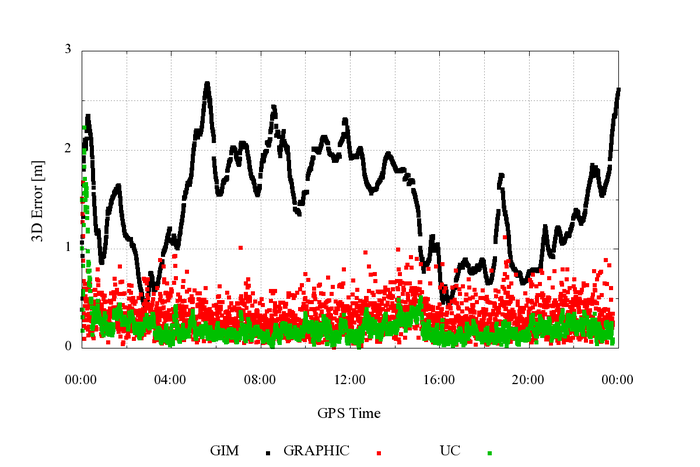 Archives like CDDIS and SOPAC are great resources for accessing data from permanent GNSS stations using dual- or triple-frequency receivers. There is however a lack of publicly available single-frequency data sets to improve the development of processing algorithms aimed at low-cost receivers. For this reason, I decided to buy myself a little “toy” to collect my own data and, hopefully, get enough insights to benefit the precision, accuracy and integrity of these devices. PPP with Smartphones: Are We There Yet? 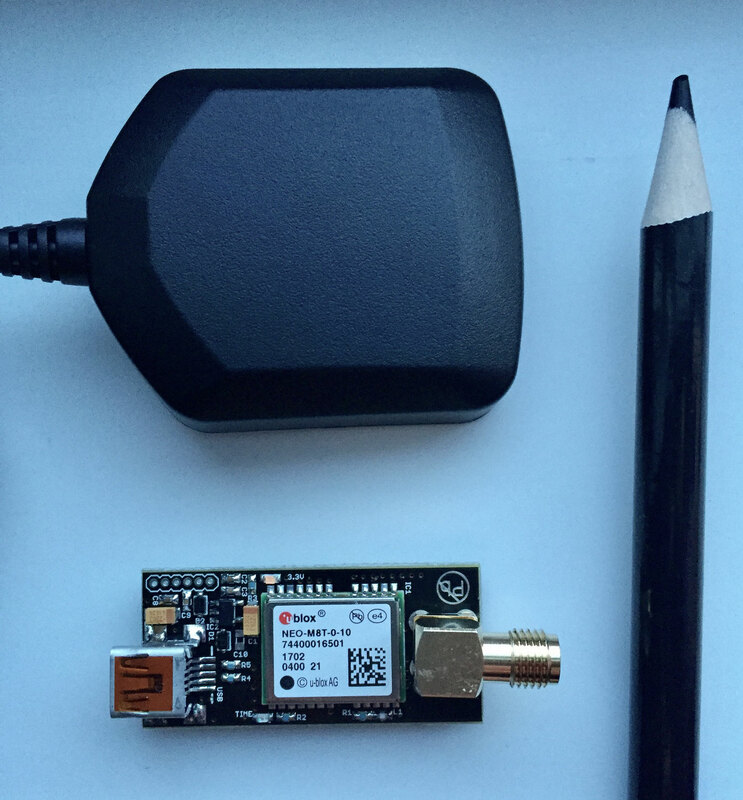 During Google’s I/O 2016 conference held in May 2016, Google announced that raw GNSS measurements from smartphones running the Android N operating system would be made available to developers. I registered to a tutorial held last week at the ION GNSS+ 2016 meeting entitled “Raw GNSS Measurements from Android Phones,” given by Frank van Diggelen and colleagues from Google. Since I am a precision junkie, there is a question I needed to answer: can we do cm-level positioning with a smartphone? 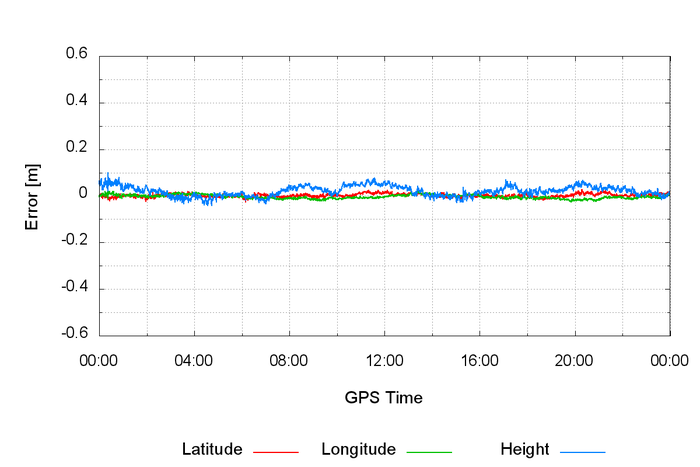 The term “PPP-RTK” usually involves positioning using state-space corrections generated from a network of GNSS receivers. 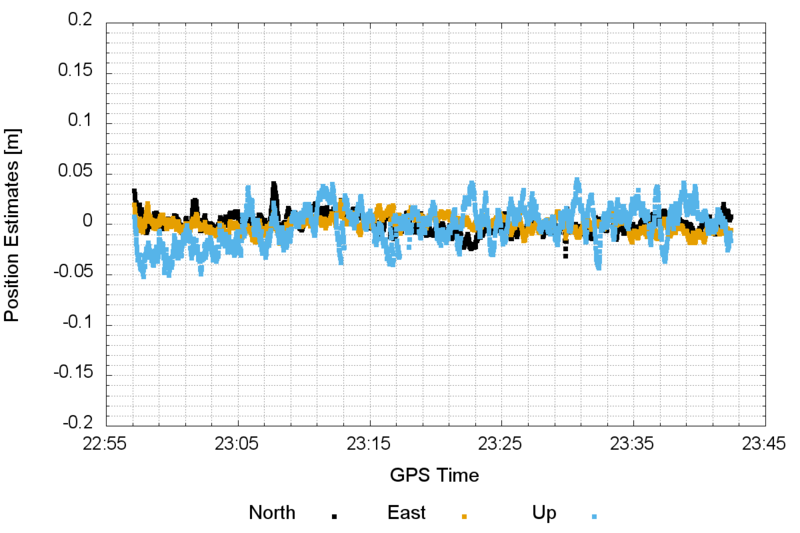 This flexible representation of error sources allows for a scalable solution to be deployed: a global PPP solution can be obtained with precise satellite orbit and clock corrections, and instantaneous convergence can also be obtained by providing local atmospheric augmentation. In this post, I apply this concept to achieve single-frequency PPP with ambiguity resolution (AR). The main challenge with single-frequency PPP is to mitigate ionospheric effects. 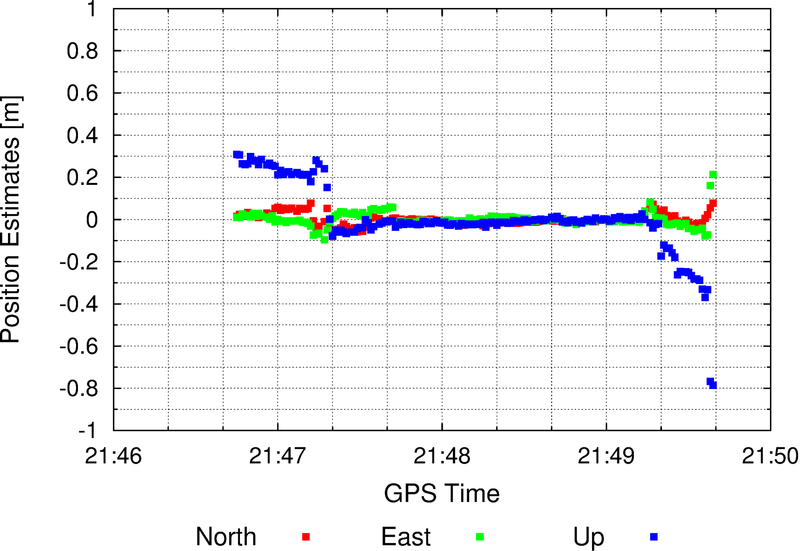 Global ionospheric maps (GIM) can reduce the contribution of this error source to some extent but residual errors often lead to meter-level positioning accuracies. A popular option is to use the GRAPHIC combination, an average of code and phase observations that “eliminates” ionospheric errors. This formulation is, however, not always your best option.